19 chapters in and I figured it was about time to talk about the actual planet Wandering Fortunes has taken place on so far, Zhop. It’s not really a nice place. In fact, it’s a bit of a mess. Species profile for the snowbles are up. They are creatures of snow. Weird, huh? They’re basically mean snowmen. Some are large and in charge, and others are small and very in charge. This is not your normal species! 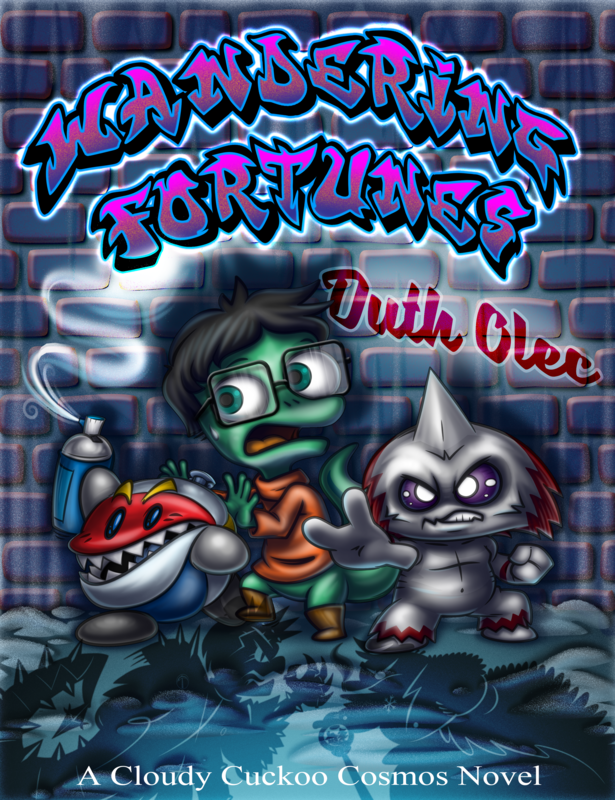 Chapter 7 of Wandering Fortunes is now up. The Obsidian City, New Zhopolis, finally appears! Big city! Tall buildings! Dim lights! Innumerable residents! Numerable but still a pretty high number of species! Subways, districts, roads, vehicles, orators, scam artists, grumps, racism, and jerks, jerks, jerks! Wait, somewhere along the line that took a turn for the worse. Will the big city turn out to be all that it promises to be? Or will it turn out to be more than that and it turned out we just didn’t hear its promises right the first time? As always, I post these chapters early for $3+ patrons on Patreon, so this chapter has been available for a couple weeks now and patrons will be able to see more of Alden and his friends’ adventures in The Big City in just a couple weeks. Even if you give just one dollar though you still get to see things early, as I post weekly updates that include a snippet of work much further ahead. You can take a look at a bit of chapter ten already!